The homestead has been fully renovated to its old charm with three large bedrooms the main bedroom has a queen bed Ensuite and Jacuzzi, the second bedroom has a queen bed, the third bedroom has two singles. Fully equipped country kitchen, family/bar room with a coonara wood heater, TV and DVD player. Relax and read a book or play a game of pool in the formal lounge. It has a laundry Room with washer and dryer. Outside you can stroll around acres of beautiful gardens and for the Train enthusiast you can follow the kilometres of miniature train tracks running around the property featuring trestle bridges and tunnels. Or you can just take in the views of the majestic rolling hills. You can also take a dip in your own private pool. B.B.Q facilities also available. Travel to the township of Korumburra only 6km check out antique shops and craft shops enjoy a coffee at a café. Step back in time at Coal Creek Historical Village. For wine lovers you are surrounded by lots of wineries. For beach lovers travel 15 minutes to Inverloch Township and beaches or to the Cape Patterson beaches. Do a day trip to Wilson Prom or Phillip Island. Travel 20 minutes to the Wonthaggi regional shopping centre and Wonthaggi State Coal Mine. Visit the Kongwak Sunday market. If You are looking for a peaceful break from the Hussle and bustle of busy life then this is the place your looking for, with very limited mobile phone reception away in your own seclusion you have no choice but to relax. Perfect spot for a getaway. House and surrounding gardens are amazing. Will definitely be back. Highly recommend for anyone needing a break. Hi Guy, Thank you your great review, good to hear that you had a great getaway you are most welcome back. The house has a relaxing and winding approach that once in welcome with a unique charm. Etremely quiet and private house and grounds made a hugely peaceful stay. The house has large interior spaces with all the facilities you could need. We were slightly concerned at no air con in the bedrooms but the ceiling fans kept rooms perfectly comfortable for a great nights sleep. Tony was a great host who called us when we arrived to make sure we got into the property ok and was very accomodating thoughout our time there. Hi Stewart, I are very happy to hear that you had a relaxing stay at Jumbunna Retreat. There is air conditioning in the big bedroom at the far end of the house and with the air conditioning in the bar / family room going we found it to keep the house quite cool especially with the high ceilings and ceiling fans going as you mentioned. We have been a few times now. It's an amazing place, a beautiful family getaway. Tony is accommodating, friendly and helpful. Will definitely be going back again in the near future. Hi David thank you for staying with us again and your wonderfull review. 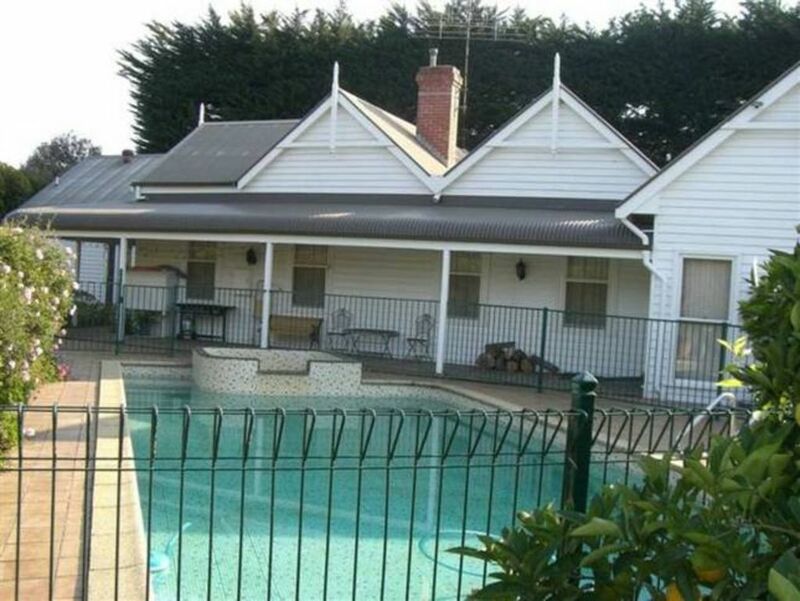 Jumbunna Retreat is full of special surprises; a wonderful garden and mini train track to explore, a peaceful location surrounded by rolling hills; a great period home with the necessary luxuries of an indoor spa and a large, inviting outdoor pool. We love this place and will be back again and again. Hi Angela thank you for your wonderful review, yes you definitely getaway from the Hussle and bustle of the busy world at Jumbunna Retreat when you are surrounded by the rolling hills. you are most welcome to stay again. So glad to hear that you had a relaxing stay and your comments on the gardens, the gardeners do a great job keeping them like that.